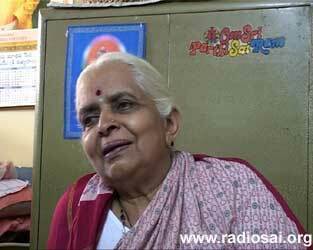 This is the third and final part of the conversation between Mrs. Padma Kasturi (PK), daughter of Sri N Kasturi, Swami’s biographer and Ms. Rajeshwari Patel (RP), a former student and faculty member in the Anantapur campus of Sathya Sai University, aired on Radio Sai a few weeks ago. Click below to read the previous parts of this article. RP: Ma’am, Why don’t you share with us some of your own experiences with Bhagavan? After six months I conceived. But after the sixth month of pregnancy, there was some complication – I had high blood pressure. The Doctors were very worried and they asked me to not take any salt in my food, etc. At that time medical science was not as advanced and they thought that since I have high blood pressure, I might get fits during labour. So they put me on medication. My parents were very worried. They came to Puttaparthi and told Swami everything. PK: Then I felt some pain - I think it was around 3:30 or 4 in the morning. Then I felt I saw a hand near me! 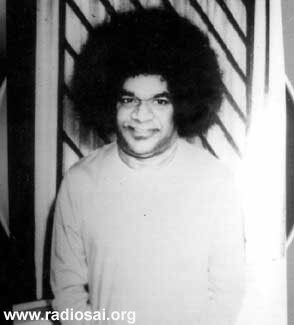 In those days Swami used to wear different colour robes; pink, yellow, not just orange. And I saw one hand in pink sleeves come and start to rub on my stomach! I could feel the touch! RP: And you saw it too? A pink color robe! RP: She saw Him? She was in the room too? PK: Yes. She was sleeping next to me in the room. RP: So she saw Him! PK: Yes. 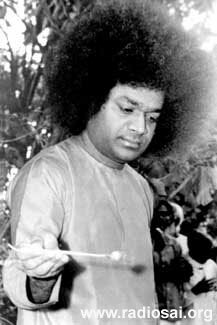 She said: “It must be Swami!” Then, on the next day, the Doctor said: “The baby’s head has turned; maybe the delivery may take place today!” After that the labour pains increased and they took me to the labour ward and immediately my mother put that sugar candy in my mouth. As I was lying on the labour table, sucking on the candy, and as the juice was going in, I went into deep sleep! It was a sort of chloroform! RP: The Doctor didn’t know about Swami! PK: Yes! My mother had asked one of the nurses to be with me. 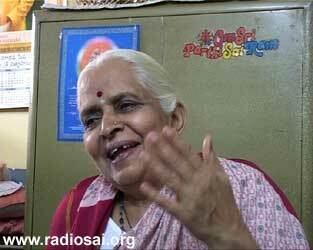 And when I felt some pain the nurse immediately called my mom: “Amma! Please come! The baby is coming out!” Then she ran and came and of course the delivery took place! RP: So it was a painless delivery! PK: Yes, painless. But the baby was very small – only 3 and 1/4 pounds but he didn’t cry! He was bleeding through the nose and the mouth so they had to give him an injection and he was very weak too. They then gave him a bath and put him in the incubator. RP: He even mentioned that? PK: Yes! And then He sent some vibhuti for me and the child to smear all over the body after the bath on the tenth day and also to give it to him everyday and He instructed him to not bring the child for namakarana (naming ceremony) until he was 5-6 months old. And He gave another instruction – the reason I want to mention it is to show how Swami takes care of even the minutest details! He said: “Because she had the high blood pressure problem, ask your wife to take care of the child during the night so she can have some good sleep.” He also said: “Your house is in a place where there are a lot of mosquitoes! So you must stitch a big mosquito curtain so that your wife, Padma and the child can sleep.” See how He is? RP: So much concern! And to even make observations like these! PK: Yes. So we brought him here on the 5th month and then He named him. In those days, we were allowed to do paadapooja (worshipping His feet) for every occasion. Do you know about paadapooja? RP: I have heard about it but we would like to hear it from you; so please tell us. PK: Opposite the interview room there is a room which we used to call the paadapooja room. RP: Right across the interview room which is now closed? PK: Yes. We used to keep a plate under Swami’s Feet and worship His Feet with plain water first, and then collect that water and wipe His Feet with a towel and then wash His feet with rose water too. That water used to be collected too. Then we would worship His Feet with haldi, kumkuma (turmeric and vermillion) and flowers and we used to garland Swami! RP: Was everybody given the opportunity to do this pooja? PK: Yes. Each time we came and while returning, and on any small occasion, He would accept it. RP: Now He doesn’t allow us to touch His Feet! After one year, we came for his annaprashna – that is giving his first solid food; porridge with rice and milk and sugar – which He fed him by holding him on His lap. On his third year He did the aksharabhyasam – the ceremony of the writing of the first letter before putting the child in school. That was a very auspicious and a different experience too which I would like to narrate. PK: By that time I had my second child too. Swami said: “How can you manage both the kids together? 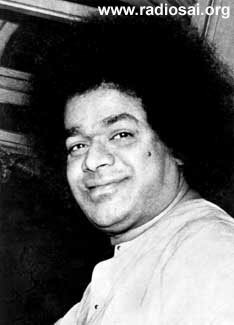 Why don’t you put the older child in school?” I said: “Swami, the aksharabhyasam has not been done yet.” He said: “I will do it before you go.” I was here in Puttaparthi at that time. He said: “You arrange everything, and I will come to your home tomorrow and do it.” So we arranged that. Since there were no shops here at that time, we had to ask somebody to go to Bukkapatanam and get the slate and the slate pencil and in those days we didn’t have any big chair or anything for Swami to sit on. We had a big wooden box and we placed some cushion and a cloth and He sat on it. This was during bhajans. RP: So while bhajans were going on in the mandir, Swami would go around visiting people? PK: Yes. Bhajans were between 11 and 12. RP: Not like now – just half an hour! And Swami would walk around? There was a wooden plank, so we put that down and we spread the cushion and He sat on the floor! And He asked my son to sit on His lap! RP: That was his fortune! PK: Yes. Then He asked me to bring some rice in a plate and He wrote Aum Namoh Narayana Namaha on it. PK: On the rice! Then He wrote Aum on the slate and then He asked him to put haldi, kumkuma on what He had written – like a pooja – and He held his hand and made him write that too! RP: What did He make him write? RP: With that ring? Using it as a pen? PK: Yes, with the ring. RP: Great! But what about the slate? He didn’t use the slate? PK: He did! He made him write on the slate and the rice too! And He wrote it on his tongue too! Then after that, He asked him to do namaskaaram (pay obeisance) to all of us – his parents and his grandparents, and He asked my father to bring him upstairs to the bhajans and there He gave him some sweet box. RP: So it was a real big day for him! PK: Yes! When he was 2 yrs old, we would come here a lot and as soon as we would come here, we would get an interview. RP: Did you record all of those interviews? PK: No. in those days there were no tape-recorders. RP: Recorded them in words? RP: You were already saying that about Swami, you remember everything – you might have forgotten other things, but this you can’t! And nothing happened! Though I did have to go to the Doctor every month and she used to write out some medicines and I used to bluff her with: “Oh! It’s working wonderfully!” I never took them – just vibhuti! Maybe that’s why He named the second son as Sai Prasaad! PK: Yes! So when he was 2 years old, I conceived again! At that time my father was working as an Assistant Producer in Bangalore in the All India Radio. After retirement, he was working there for three years. PK: He and my mother. My grandmother was here. Swami said: “I will take care, you both go.” It is the Indian custom where they take the daughter to their parent’s house in the sixth month and she will stay there for a month and to make her happy, they give her to eat whatever she desires. RP: Yes, usually that’s a tradition. PK: My parent’s house and my in-laws house were very close by. When my mother would call me and insist me to come to her house, I would say: “No. It’s too nearby!” Whenever they would call me, I had to go – so it felt as though I was staying in my in-laws house. So I thought I better go to Puttaparthi and stay with my grand-mother for one month. So I came to Puttaparthi and stayed here. At that time we had a problem of not knowing where to have the delivery because if we would have had it in Bangalore, there would be nobody to help my mother around in the house because she had to help me and be with me in the hospital. So she was a little worried. By that time, the General Hospital had opened in Puttaparthi. But we didn’t know if Swami would agree or not. I said: “But Swami, it’s only the sixth month! I cannot stay here for so long!” because there was no convenience in coming here at that time. RP: Yes, there was a lot of difficulty making your way to come here to Puttaparthi. Did you come here by bullock cart then? PK: Oh yes! Even in those days, we had to take the first the train, then bus, then bullock-cart and all that. RP: I remember when we came in 1972; we came to Bukkapatnam by a bullock-cart! RP: Well, Swami! He is the Creator and He knows what is happening in the sixth month of pregnancy! So that’s when the child gets the intelligence? PK: Yes. That’s what He said and that’s why they say about why one must keep a pregnant woman happy. RP: Yes, they say that in the scriptures too! PK: Yes. So I stayed on. And in those days, we could not get much fruits and all that. 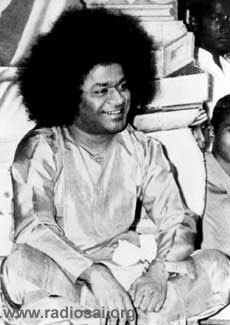 So whenever some devotee came and brought some fruits for Swami, He would send some fruits or apples or bananas to our home! Now and then He would come to our house to check on me. When the ninth month came, my mother came here too. 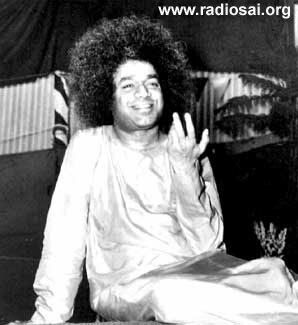 Swami had gone to Tirupathi to attend that First Divine Life Society Conference in Venkatagiri and He came back with so many sanyasis (renunciants)! RP: This was in 1961? He did not know what to do! 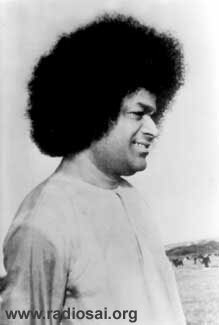 In those days, Swami used to climb up the hill – where the University is now – there were some big, huge rocks there and Swami used to take some people there in the evening and give them interviews or to have some conversations. RP: You mean, while the bhajans were going on? He said: “Let me arrange some bed for you.” Because there were some old village people in the ladies ward; there were four beds there. He said: “I will go and talk to the Doctors and arrange a room for you.” He went to Dr. Sitaramaiya’s house, who was in charge then, to arrange a room. My father’s house was on the East block. He said: “The Doctor will put the bed in the labour room itself.” There were only four rooms in the Hospital then – one four-bed room for the men, one four-bed room for the women, one labour room and one central hall – that’s all. It was a very small hospital. RP: So He took care of everything! PK: Yes! Then the bhajans were going on but after the bhajans there was no jeep and I was finding it very difficult to stay home because the pain was increasing. Then He came for dinner – in those days He used to come to the other side for dinner; and His sister was serving Him; the ladies could approach Him. She brought it - it was some fruit juice and it smelt very good! I drank it and the pain subsided and I could even walk up to the hill! PK: Yes, I walked up! We went to the hospital and I lay down and the pain subsided. There were two male doctors and there was no mid-wife or nurse or anything. There was only one lady who knew little of nursing, so Swami sent her in too along with my mother. My mother and she then started to discuss what to do because they were not familiar with the whole process of delivery. The Doctors were sitting in the veranda and they gave us everything that was needed – scissors, thread, etc. - and said: “If there is any problem, we will be here, waiting.” The pain subsided and I had a good sleep. Suddenly that lady remembered that on that same day, there was another lady who was a cook there – from some village who had delivery experience. So she went and brought that lady there. But the night passed. The next day was Ramanavami and the bhajans were going on between 9 and 10 in the morning – on other days it was usually between 11 and 12. It was summer and in those days, there was no current or water facility in Puttaparthi. RP: How did they manage? PK: There was a well then! RP: Oh! So you had to go and draw the water! PK: Yes! Then Swami came to the hospital around 9 and said: “What happened?” I said: “Everything subsided - nothing happened!” He said: “Since you have already been having too many problems and since it was ashtami (8 th lunar day in the month – not considered auspicious), I stopped it! Today is Ramanavami and the child will be born today!” Then He gave two packets of vibhuti to my mother and said: “After the delivery, rub this on her stomach. Once the pain increases, she will not be able to eat any food! So bring some food now and give it to her.” So my mother went and brought some food for me. RP: It’s amazing! The amount of care He has taken! So He took everybody to Chitravathi and there it seems He created from the sand Lord Rama, Laxmana and Sita idols and they did some bhajans and Swami delivered a Discourse and He created some amrita too! PK: Yes, on Ramanavami day! At that same moment, here, I felt some severe pain and I was sweating a lot. There was nobody there to help except my mother; she was crying and didn’t know what to do – she was so upset! It seems that when Swami was distributing amrita to the ladies there, He suddenly said: “Oh! My back is paining!” He was sweating a lot and then He sat down for 2-3 minutes, stretching His legs. RP: Oh! So that means He had taken the pain on Himself? PK: Yes. He was rubbing Himself with His handkerchief that He has. Of course, they all came and helped Him. It was 8-8:30 by then! RP: So the devotees were with Him on the sands of the Chitravathi River so late? They used to take lanterns with them? PK: Yes – torches, lanterns, etc. Also, whatever idols He used to create from the sands there, they used to bring it to the mandir and keep it in the shrine and do aarti there – it was the usual custom then. Then she came and mixed the vibhuti in water and as she was giving it to me, Swami came into the hospital! RP: Imagine! What time was it then? RP: Ok! He summarized it in just one word! PK: I said: “Swami! It was not like this during the first two deliveries! It was easy then; but this time I don’t know what has happened! I am suffering so much!” Then He said: “When you have pain, why do you call out ‘Amma! Amma!’? Why don’t you call out: ‘Sai Ram! Sai Ram!’? RP: Oh! So that was another indirect lesson! Then Swami stood by the door - which was towards the side of my head on the bed - and He took the lady outside and told her to instruct me that when the pain comes, let us say: “Sai Ram!” then as He was standing near the door, He waved His hand. And though He was standing far, He was making some gestures with His hand and immediately I felt a thud in my stomach and then immediately the pain came and I said 'Sai Ram' and the child was born! RP: And Swami was standing by the door? PK: Yes! And immediately the child was born! Then He joked with me: “Oh! You wanted a daughter and you got another son! Are you not happy?” Then on the eighth day, my father came to Puttaparthi. He went straight to see Swami, he did not come to me first – that’s how he was. Then He brought my father along with Him and told him: “See! Padma is very angry with Me and is not talking to Me because she did not get a daughter!” He was behaving just like family! RP: Yes! So finally, since He allowed so much intimacy with you and your family, what would you say Bhagavan meant to you then? 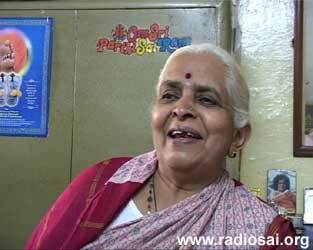 PK: He was like a close relative – He was more than a Mother to me, because of His Compassion and Care. RP: So you were never awed by His Divinity? 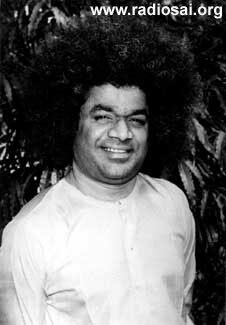 PK: I couldn’t see Him as someone Divine or His Divinity because He was so close and took so much care and with so much compassion that I was just attracted to that! I thought that He was a very, very close relative to me – even today! But sometimes - because He has now kept me at a little distance - I can feel His Divinity. RP: I think we had a very long session. And on a later day, we can share more for our listeners at Radio Sai. Thank you very much for accepting our invitation. Talking to you has been like entering a secret garden of hidden treasures. You are virtually a diamond mine and a treasure trove of Divine showers and blessings! You are indeed fortunate ma’am and we are fortunate too to have been today the recipients – vicarious recipients – of those blessings through you! Thank you very much! PK: Thank you Rajeshwari for giving me this opportunity of sharing my experiences with you. Dear Reader, did this article inspire you in any way? Would you like more of such conversations with Sai devotees? Please tells us at [email protected] mentioning your name and country.